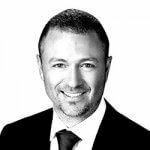 Aspire Global has recently announced the appointment of Ziv Shtaeinberg to the newly created role of chief technology officer. 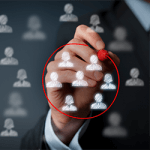 Shtaeinberg will be leading the platform provider’s IT firm from their head office in Kiev, Ukraine. The Israeli national has experience in on-premises software and cloud computing and technology development, and previously worked in SafeCharge as a payment processor, and spent …. 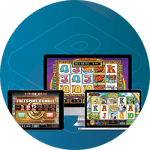 The Playtech Open Platform content aggregation service has recently been relaunched after a revamp, with the gaming provider having promised players and clients a larger variety of choice and functionality within the next few months. Part of the improvements include allowing Playtech to recently connect the POP with its intended Marketplace – which is essentially an app store for a …. Software developer and provider Gaming Innovation Group has announced that it intends to expand its service offering into the international lottery market for the first time ever after confirming an agreement for a long-term partnership with lotto betting start-up MegaLotto. 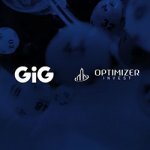 The deal will see GIG and MegaLotto work together to begin offering odds on international lottery draws in multiple markets. …. 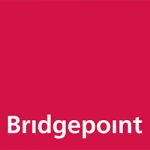 The British private equity firm Bridgepoint has made an SEK9.19 billion bid for online gaming supplier and operator Cherry weeks before the reorganisation of the Swedish gambling market. The consortium, which is lead by the private equity investor Bridgepoint Advisors Limited has reportedly offered to buy the gabling group within the next few months. An independent committee has been created …. 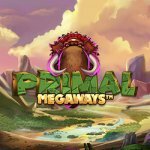 Primal Megaways it the latest pokie from Blueprint Gaming, and will transport players back thousands of years into the past during the stone age where mammoths, cavemen, and sabre-toothed tigers will roamed the planet. With the developer’s trademark Megaways feature, along with a couple of bonus rounds, this latest pokie is a welcomed addition to their ever-growing library of games. …. Matt Davey is set to depart from his position of CEO at SG Digital after less than a year in charge of their Scientific Games subsidiary. Jordan Levin, who is currently the senior vice president for the corporate development and former president of SG Interactive, is set to take over the role at the division from the rest of the …. 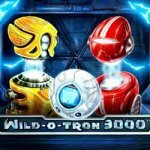 NetEnt has released a new pokie game in the form of Wild-O-Tron 3000. The game, which is set in a 1960s-themed robotics lab, is a science fiction, fast-paced experience that transports players back to a time when science-fiction was the world’s most popular genre. Wild-O-Tron 3000 is a 5-reel, 20 fixed payline, 3 row game that features Wild substitutes as …. Stockholm-listed casino games supplier NetEnt has confirmed plans to restructure the company with 55 positions to be cut from its office within Stockholm. The supplier said recently that it is taking action in order to optimise operations around the world with the hope of increasing their competitiveness, as well as profitability. They confirmed that a total of 55-full time positions …. International gaming supplier Microgaming has recently launched two new games, which were developed by independent game studios Triple Edge Studios and Fortune Factory Studios. 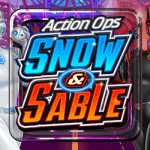 Action Ops: Snow & Sable is a sci-fi themed pokie from Triple Edge Studios. The game is set in the futuristic city of Aurora, where players are given the opportunity to get into the action with …. 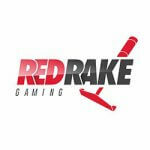 Online iGaming supplier Red Rake Gaming has recently launched their latest game in the form of Blackjack as the year comes to an end, adding to their constantly growing library of new games. The online blackjack game will come with seven different types, each giving the player the chance to challenge the croupier by making between one and four bets ….